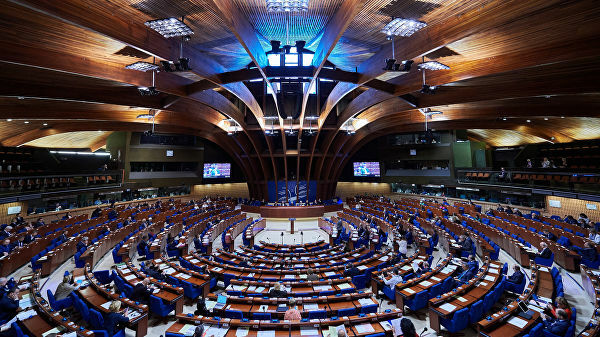 Russia paid contributions to the Council of Europe, equal to almost a tenth of the budget of this organization, said deputy from the faction “United Russia”, a member of the Committee on International Affairs Elena Panina. The parliamentarian told about this “Duma TV”, commenting on the words of the CE Secretary General Thorbjørn Jagland that the possible withdrawal of the Russian Federation from this international organization could be a real shock for Europe. “Russia paid all the years in the CE amount, which is approximately 8% of the budget of this organization, only for 2014-2015 – this is more than 32 million euros. We had to pay in 17 – more than 22 million euros, but the Russian Federation refused, ”said Elena Panina. She also recalled that in the past and current years, Russia also refused to pay contributions to the Council of Europe. The deputy stressed that this is the right decision. “I believe that our country has long had to withdraw from the PACE, because here our so-called membership in the PACE cannot be called anything other than mockery of Russia,” said Panina. The parliamentarian noted that there is nothing to do in PACE without the right to vote of the Russian delegation. “Our country is being muddy, openly humiliated. Are we masochists that we must also pay for it? ”Panina added. She also believes that Russia needs to renounce membership in the Council of Europe. “We have not yet refused, but this must be done,” the parliamentarian stressed. According to TASS, the Secretary General of the Council of Europe, Thorbjørn Jagland, had previously been told by the Norwegian Telegraph Bureau that the possible withdrawal of Russia from the Council of Europe could be a real shock for Europe.